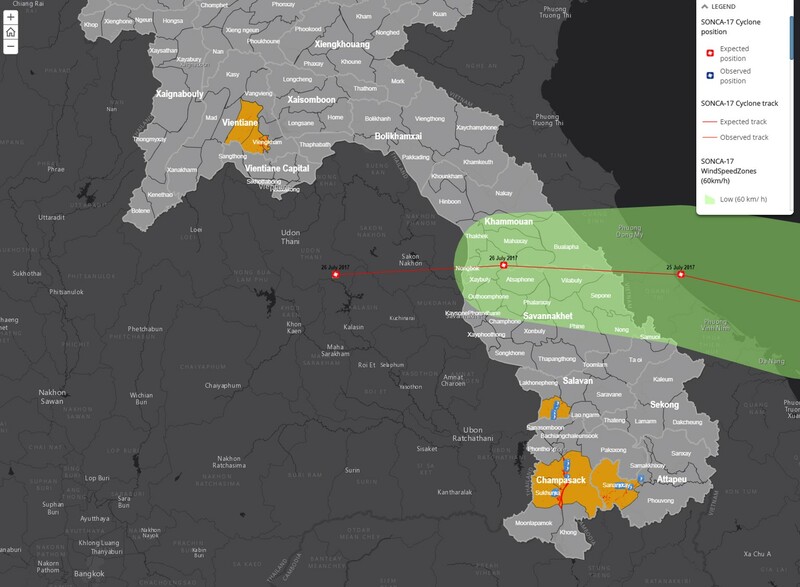 This UNOSAT LIVE map integrates geo-spatial data in support of response efforts following Tropical Cyclone SONCA-17, after it made landfall in Laos on 26 July 2017. More specifically, it was created with the aim of supporting a food security field assessment carried out by World Food Programme on the ground. Up-to-date, comprehensive satellite image derived flood analyses are displayed, together with photos automatically uploaded from the UN-ASIGN smartphone app. Additional supporting GIS data are also included on the map.